What Is a Retail Category Manager? A retail category manager is an in-store expert in the visual merchandising, pricing, management, and sales of a specified group of products. This expertise is relied on to drive pricing, shelving, marketing, and promotions of certain products to make them highly visible, accessible, and appealing to customers. A successful retail category manager contributes to the profitability of a company by increasing the volume of products that are sold and improving the speed of inventory turnover within the category. Retail category managers often assist in or take charge of ordering, pricing, and organizing products. They may be responsible for several categories of products or specialize in a few items within a category. To be successful, category managers must have a working knowledge of the products, consumer needs, buying practices, sales goals, and retail environment related to their merchandise category. Types of retail stores that offer category manager positions include grocery stores, department stores, and home improvement stores. The retail category manager's main goal is to optimize sales for a particular group of products. To do that, the manager must be able to maintain a productive relationship with vendors that is mutually beneficial, as well as create an engaging relationship with customers that is interactive and satisfying. A retail category manager's responsibilities are varied and comprehensive. In general, they are responsible for every aspect of in-store retailing of their product category until those products are purchased. A retail category manager's main responsibilities are vendor management, pricing and marketing, and planning and inventory control. Managing vendor relationships are important to the success of a retail category manager. The right selection, availability, and acquisition of products are dependent on effective communications and cooperative relationships with vendors. Often retail category managers are responsible for negotiating pricing, delivery, and payment terms with vendors, all of which affect the retail profit margin of the products and the individual retail store. Positive and productive vendor relationships will also directly affect the in-store pricing and marketing of the products within a category. A favorable relationship with vendors enhances the swift and steady flow of merchandise in and out of the store. Pricing merchandise is one of the most important aspects of competitive positioning and the successful marketing of a product. Category managers are often responsible for setting competitive price points and adjusting prices to increase sales and clear out stagnant items from inventory. They often work closely with buyers to expand popular product lines and implement exit strategies for unpopular merchandise. Successfully marketing a product or product line requires the right formula, which includes pricing and availability balanced with consumer demand. It is the job of a category manager to be an expert in the basic marketing success formula–the right products at the right time for the right price. Retail category managers are responsible for managing inventory and for effectively planning and forecasting consumer demand to maximize the profitability of the inventory flow. 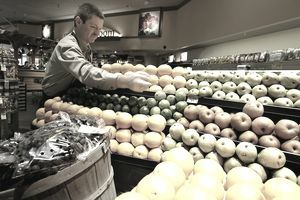 Balancing projected forecasts and actual sales, retail category managers create trend forecasts and implement sales plans. Financial analysis is also part of these responsibilities. If you're considering a career as a retail category manager, you will need to meet certain requirements to qualify for the position. Retail category managers are not always required to have prior management experience, but having a strong background with merchandising and vendor relationships will be viewed favorably. Additional experience with product purchasing, financial analysis, and inventory control is also preferable. Specific expertise with sales and marketing products within the merchandise category is also considered to be a valuable experience. Because you will be involved in multiple stages of the retail process, you must be able to multi-task and be an effective problem solver. You must have good judgment and wisdom in negotiations, projections, and communications. Good intuition will be just as valuable as good analysis in this role. Also, exceptional organization and attention to detail are essential skills, as well as excellent communication skills, both written and verbal. Strong mathematical and analytical skills are essential. While there are some instances in which a category manager has risen through the ranks of a retail organization, more often than not a bachelor’s degree in business, retailing, management, sales, or marketing is required. A Master of Business Administration (MBA) degree or post-graduate study will often give you an advantage over other candidates, particularly if the field of study is in merchandising or retail management. The median annual salary for a retail category manager is $82,574, with the top 10 percent earning $116,279. Because this position is part of a management team, often the salary is supplemented with performance bonuses, profit sharing, and sometimes sales commissions. Benefits packages generally include health insurance and generous discounts on store merchandise. If you've never considered a career as a retail category manager and have many of the qualifications and skills needed to succeed, you may want to pursue it by contacting those stores with job openings. As part of a management team, you can play a key role in increasing a company's profitability and growth.